This is Old Florida at its best! Leave the hustle and bustle of your everyday life behind when you stay at their beautiful waterfront campground. 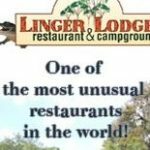 Citrus trees and old, live oak canopies cover many of the 104 extra-large RV campsites. Whether you stay in one of their quaint cabins, or if you bring your own RV or travel trailer, you can kick back and relax in this peaceful environment. 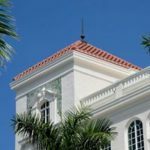 An elegant hotel located in the heart of Downtown Bradenton, a riverfront destination rich in history, art and culture. Via Roma is a small, intimate resort with a Mediterranean style. 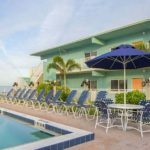 With its white stucco buildings and Romanesque columns combined with Florida’s picturesque palm trees, sea oats and hibiscus trees, this laid-back beachfront resort is the best of both worlds. 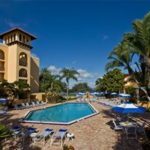 The Courtyard by Marriott Bradenton Sarasota Riverfront Hotel is located directly on the Manatee River near the Gulf of Mexico, Anna Maria Island and Long Boat Key. 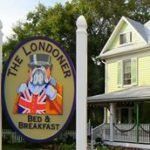 The Londoner B&B has 6 bedrooms with pillow top mattresses, quality linens, beautifully decorated rooms, each named after a different area of London and has photographs and interesting facts from that particular area. This 1926 house is in the heart of Historic downtown Bradenton has undergone extensive refurbishment. 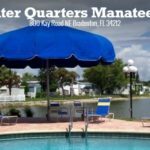 Winter Quarters Manatee RV Resort in Florida has such a great, central location, close to Anna Maria Island, Siesta Key beaches, St. Armand’s Circle, Ringling Museum and Busch Gardens. If you’re looking for an RV resort in coastal Florida that gives you convenient access to local culture, then you will find it here at Winter Quarters Manatee. 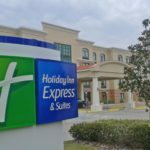 The Holiday Inn Express & Suites Bradenton East – Lakewood Ranch area offers the latest in hotel style and amenities to make your vacation or business trip a success. Located directly off of I-75 at exit #217 State Road 70 East, the hotel is within minutes from a wide array of business and leisure destinations.